Burger done with Chicken,Egg,Cheese etc. This burger is simply rich in taste,a filling delight as well as light on ur stomach.U can have everything U need in a burger,if u try Burger this way. U can have it anytime-from breakfast to dinner.Enjoy!. 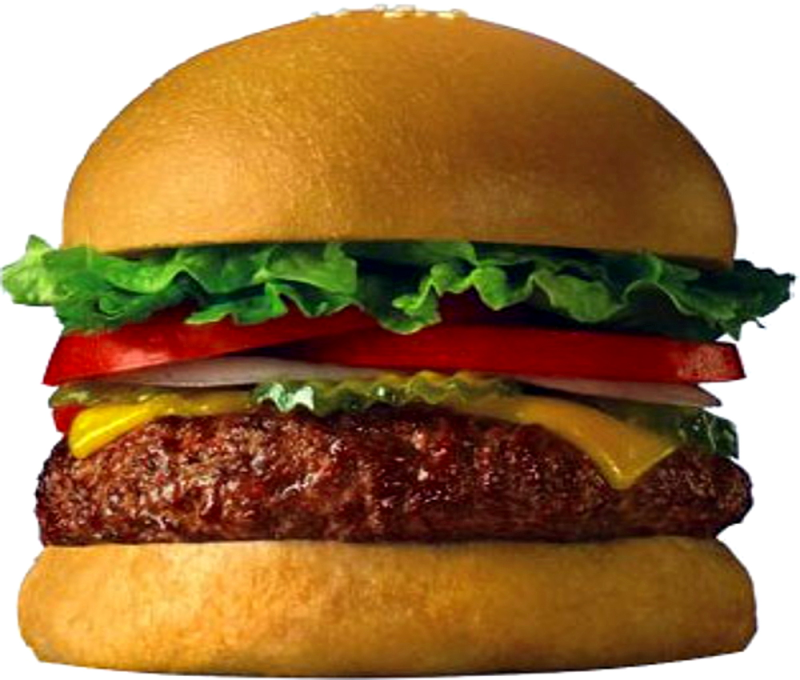 (The Pic displays a simple burger only). 1 big tomato-sliced thinly 8 nos. 1 cup Coleslaw (done with 50gm grated cabbage,15 gm grated carrot,3 tbsp mayo,2 tsp sugar,1 tbsp fresh cream and 1/4 tsp salt). Mix the first11 ingredients(from minced chicken to coriander leaves) in a large bowl and set aside for 15mins to marinate. Melt 2 tsp oil in a pan and stir-cook the marinated chicken with the marinade for 4-5 mins on good flame till dry.Turn off the flame and allow it to cool. Use burger bun size mold to cut the minced chicken into round sized burger.Shallow fry these chicken burgers using the remaining oil in a Tawa till slightly brown on both sides.Keep this aside. Cut the burger buns horizontally and spread butter over them.Toast these buns on both sides till golden brown for 20 secs on low flame each side. Apply 1 tsp burger dressing on a burger bun.Place a cheese slice over the bun spread 3 egg slices,then place one lettuce leaf over it,apply 1 tsp mayonnaise,then place 2 tomato slices and over it place cucumber slices.Sprinkle 1/4 tsp white pepper and a pinch of salt.Close it with a bun.Insert a toothpick on top. Similarly do 3 more chicken burgers. Serve these Chicken Supreme Burger with the above mentioned accompaniment.That's all!.Enjoy ur delicious meal!. Note: This can be packed for Lunch. Hi Areen!,the first 11 ingredients are used to do the Chicken burger at home.U can start doing this with ready-made burger too.Thanks for ur feedback. Hello christy it seems nice but to many things in a burger. Thank you.